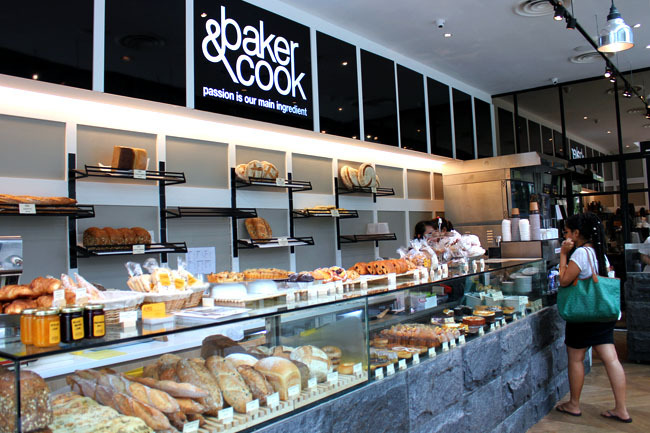 Baker & Cook is now opened at Martin Road! 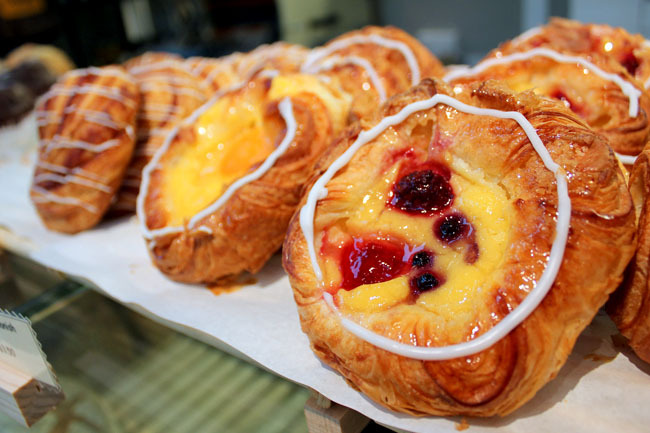 Good news for me, because I do not have to go down all the way to Hillcrest to try their exceptional breads, cakes, croissants, Danish pastries, tarts, pies and quiches. And I do not have to compete with President Tony Tan (and his security) who is said to be a regular at the Bt Timah branch. Martin Road, near River Valley Close and Robertson Quay, has a brand new look with Spanish Bomba Paella Bar and New Zealander style Baker and Cook in its hood. And there are definitely more parking lots here. The brunch offerings are so enticing, and sound like a healthier spin to the regular breakfast items. 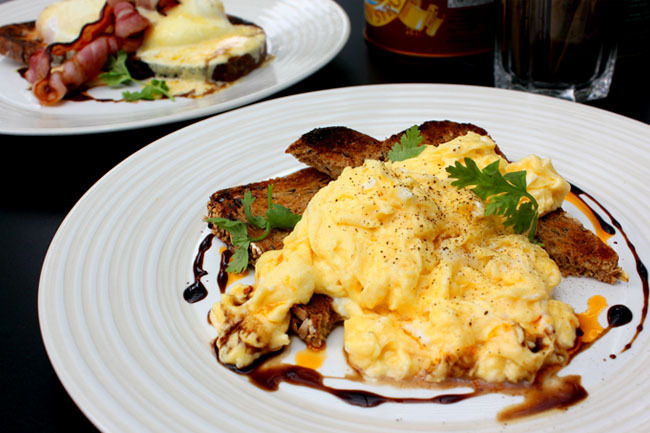 They include the Baker & Cook Deluxe Granola with berry compote and natural yoghurt, Pancakes Stack with homemade toffee sauce, and Simply Scrambled Eggs with toasted bread on side. 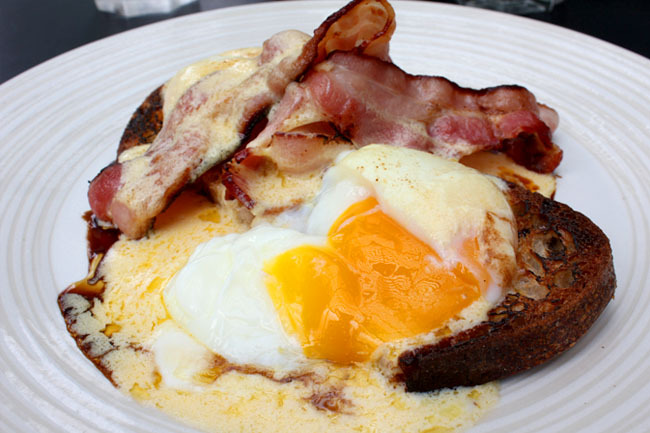 You do not have to really guess hard what I would order – Eggs Benedict! The B&C version ($17) does look slightly more rustic and down-to-earth than the other all-so-stunning-pretty versions. The poached eggs did not flow as I would have wanted to. A pity. But do not judge eggs benedict by its look. This was an absolutely sumptuous, slightly hearty version with the hollandaise sauce almost perfectly prepared. The winner has to be its toast underneath, part-crisp and part-moist after it absorbed the sauce. 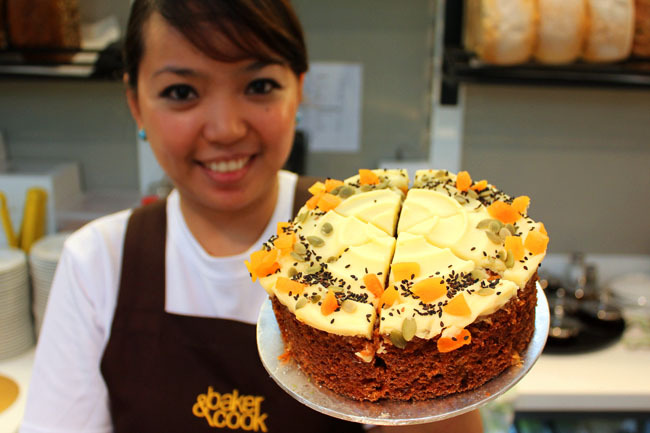 Everybody raves about Baker & Cook’s carrot cake ($26 for whole, $4.50 for slice). I had it as one of my birthday cakes this year, and this farmhouse version was easily one of the most memorable. For the record, I had 40 different cakes for my birthday. For real. The Blueberry Cheesecake ($27 for whole, $5 for slice) recommended by one of their friendly service staff (after I told them was bored of their carrot cake haha) was actually not too bad too. Slightly dense and not too sweet, though its small size can hardly feed two of me. 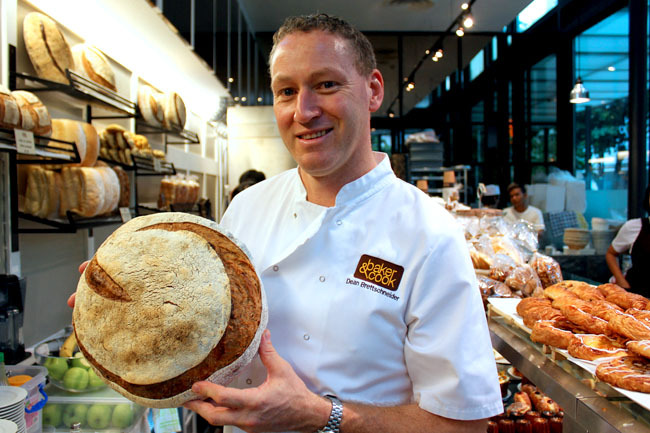 Owner Dean Brettschneider, a New Zealand TV personality and celebrity chef who has more than 25 years of baking experience, says that this new outlet at Martin Road is more “urban” and customers are “more demanding”. Surprisingly, there are not too many families, but many Japanese tai tais, or expatriates with baby in one hand and a loaf of bread in the other. This site has a brand new ‘micro bakery’ especially installed to give a sense of fresh baking at the doorstep. Do try Chef Dean’s jams – they are one of the best. Blueberry cheesecake? Yay! Carrot cake? 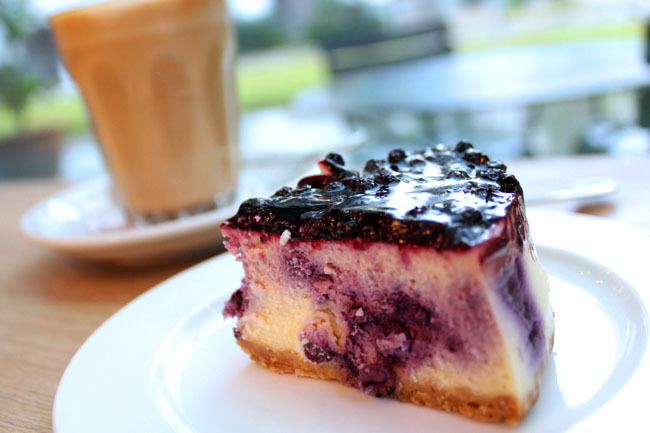 Nay… love their blueberry cheesecake!